For those that have them, septic systems are a modern convenience that is easily ignored. However, septic systems require servicing and regular maintenance to keep performing well. 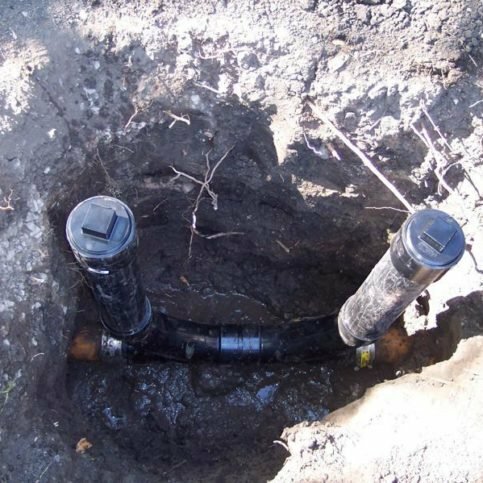 This will ensure that your septic system keeps functioning well, and it will preserve the integrity of your system over years, maximizing your investment and preventing system failure. Luckily, most septic systems only require maintenance and pumping every three to five years, depending on the size of the system, the number of people in the household, the age of the septic tank and piping, and other factors. So you shouldn’t have to think about your septic system very often. The following articles will give you more information about septic systems, caring for them and choosing the right Santa Clara County septic service company in San Jose, Santa Clara, Mountain View, Milpitas, Palo Alto, Cupertino, Gilroy, Campbell and Morgan Hill or near you to help keep your system running well. Read on for more information, including interview questions to ask septic system contractors in Santa Clara County and the Greater Bay Area, and tops for keeping your septic system functioning at top performance. What Can Santa Clara County Septic Service Companies Do for You? Local septic contractors provide a number of services to keep your septic system running smoothly. Most offer a set list of septic services, but these can often be tweaked and adjusted to meet individual client needs. Since mishandled sewage waste and septic systems can pollute the environment and pose a threat to public health, one would hope that all septic services operate in full compliance with EPA guidelines and local codes. Some septic services in Santa Clara County and the Greater Bay Area, including those who advertise to homeowners and business owners in Sunnyvale, San Jose, Campbell, Gilroy, Morgan Hill and other areas, operate without a license and without the same high standards as others. 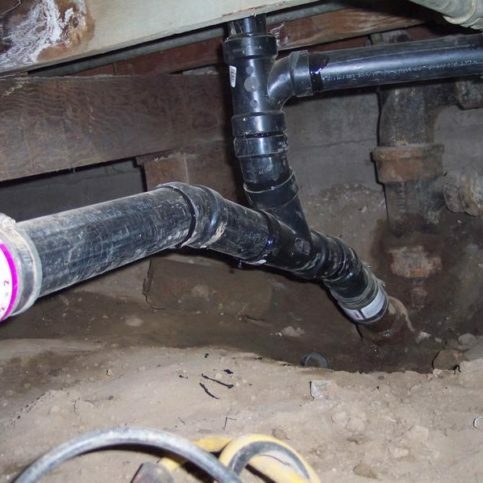 These companies are operating illegally, but they still find a customer base in homeowners who value cheap prices over quality work, or those who don’t know that hiring a licensed, insured septic service is important. This is a problem because companies that aren’t careful about their pumping and hauling practices, and those who don’t dispose of waste appropriately endanger public health, groundwater and other public spaces. 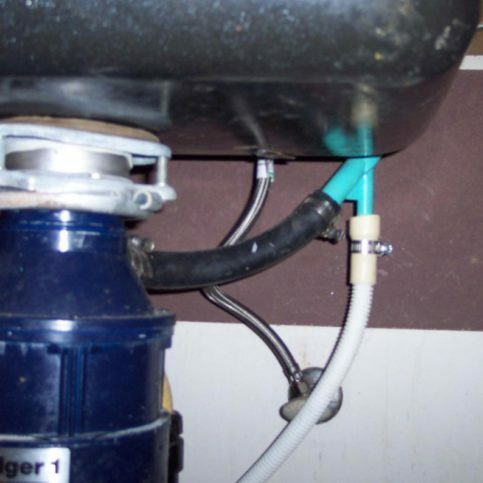 Some also offer very low rates, but only pump one compartment of the system instead of the whole system or don’t have the right equipment for the job, which gives the customer an inferior service and results in system failure, overflows, and having to have the septic system pumped more often. Instead, licensed companies that operate according to high standards and EPA guidelines carefully pump, haul and recycle the waste they remove from customers’ septic systems. This protects local groundwater and wells, and public safety. While it might cost a little more for this service, the quality and benefits are well worth the small extra cost. Why Trust Diamond Certified Septic Services Rated Highest in Quality? Jin Lee is a veteran of the plumbing industry and owner of Smart Plumbers, Inc., a Diamond Certified company since 2005. He can be reached at (408) 247-2288 or by email. Originally from South Korea, Jin now resides in Santa Clara with his wife, Sylvia. Outside of work, his favorite hobby is playing golf. “I try to golf at least once a week” he affirms. “Sometimes I don’t have time, but I do my best to make it happen.” Jin also enjoys following professional sports like football and soccer, as well as spending time with his children and grandchildren. 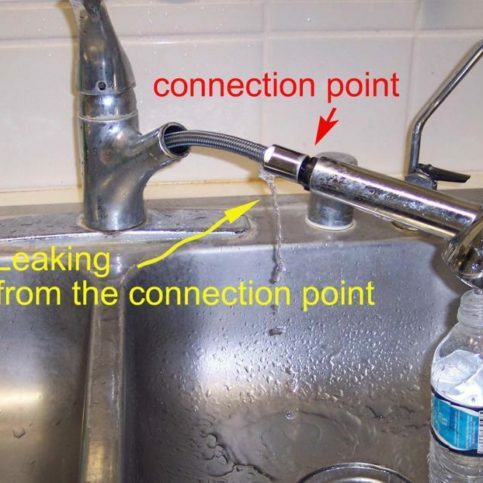 The most common reason for faucet leaks is a loose connection between the spray head and flexible line. 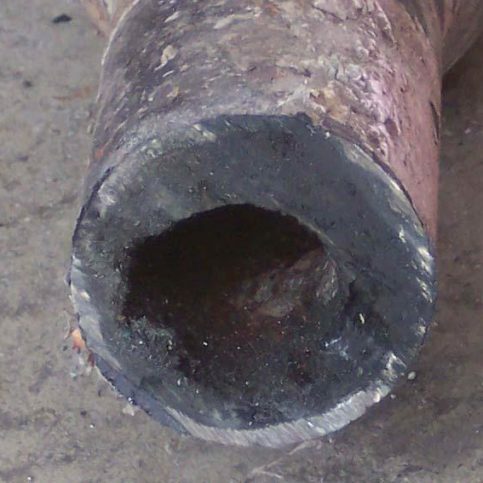 Grease inside a sewer pipe will make the pipe corrode and leak. 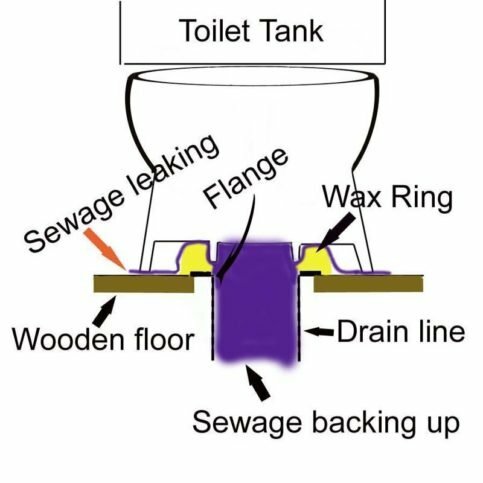 Sewage can leak out the bottom of a toilet when the drain line is clogged. 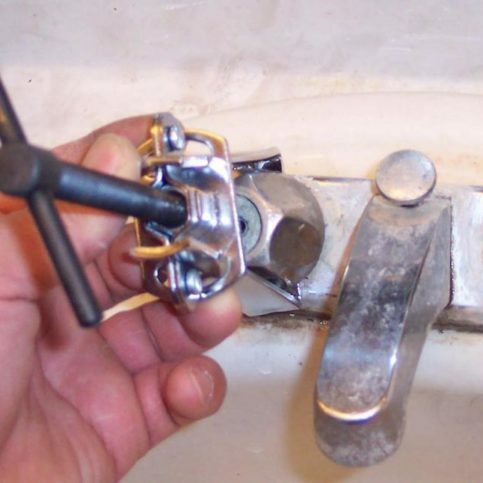 A Smart Plumbers technician removes a faucet handle. Smart Plumbers recently repaired this drain. Many homeowners find that knowing what they want helps them hire septic service contractors that are the best fit for their needs and specific job. Before talking to septic service providers in Gilroy, Cupertino, Campbell, Palo Alto, Milpitas and the rest of Santa Clara County, think about your goals and requirements for the project, and consider what you expect from your septic contractor. The following questions will get you started. Write down your answers so you can check back on your goals as the project proceeds. Do I want a Diamond Certified septic service company that is rated best in quality and backed by the Diamond Certified Performance Guarantee? What do I know about my existing septic system? (Is it a septic tank or holding tank? How old is it? Where is it located? When was it last pumped or serviced?) Or will I need to find Santa Clara County septic services that can help me determine these facts before the septic tank servicing? Do I need commercial septic services or residential septic services? Am I currently experiencing problems with my septic tank (overflowing, sewage odor or spillage, fixtures and toilets backing up, slow flushing or sink draining, etc. ), or do I just need routine maintenance and pumping? What are my specific requirements for this project or septic service? What characteristics and personal and professional qualities am I looking for in a Santa Clara County septic services contractor? Once you’ve completed your phone interviews, you should have a short list of Santa Clara County septic services contractors in San Jose, Santa Clara, Mountain View, Milpitas, Palo Alto, Cupertino, Gilroy, Campbell and Morgan Hill and near you that can provide the work you need done and seem to meet your needs for customer service and attentiveness. Now it’s time to invite representatives from a few of these companies to your home or business to see the work you need done and provide an estimate for services. Again, you’ll want to have a few written questions to ask to further assess each company’s ability to complete the work in question and to meet your specific needs. Here are some sample questions to ask in person. What septic services would you recommend for my septic system, now that you’ve had a chance to see it? How much time will the services I need take? Will you also inspect the existing materials and systems for problems or potential issues? Do you anticipate any major interruptions to water usage or my ability to flush toilets or run water during the services? How long will I have to avoid using my septic system during the services? Who will be doing the proposed work in question? Do you have a list of client references I can call? How far out are you booking right now? What is the earliest you could come to start my project? Will you offer written warranties or guarantees on this work? How would I handle any future service issues? Do I call you, and will you be responsible for any warranty work? Is there anything I should do before, during and after the septic services to prepare or better care for my septic system? Is there anything I can do to make this process go more smoothly? How long will it take for you to get me an estimate or bid for this process? You can feel confident choosing among Diamond Certified septic services because all certified companies have passed an in-depth ratings process that most other companies can’t pass. If you want quality from a septic services in Santa Clara County and the greater Bay Area, including San Jose, Sunnyvale, Santa Clara, Mountain View and Milpitas and your area, consider hiring a Diamond Certified company. Diamond Certified reports are available online for all certified companies. And you’ll never be fooled by fake reviews. That’s because all research is performed in live telephone interviews of actual customers. If you can’t find Diamond Certified septic services within reach, you’ll have to do some research on your own. If you do, it’s wise to call some references provided by your septic services. Keep in mind, though, that references provided to you by septic services are not equal in value to the large random sample of customers surveyed during the Diamond Certified ratings process. That’s because references given to customers from companies are cherry-picked instead of randomly selected from all their customers. So the contractors will likely give you a few customers to call that they know are satisfied. If you do call references on your own, specifically ask for a list of the company’s 10 most recent customers. This will help avoid them giving you the names of only customers they know were satisfied. Then, call references and ask them about the company that you’re considering hiring and get their feedback. Were you satisfied with the residential septic services or commercial septic work from _(Santa Clara County septic services company name)_? Did the Santa Clara County septic system service company you hired complete the work on time? Did the contractor keep you up-to-date on the status of the project? Were there unexpected costs? If so, what were they for and were they avoidable? If you live or own property in Saratoga, Stanford, Alviso, Coyote, Campbell, New Almaden, Monte Vista or a smaller town, did they charge extra to travel to your home or location of the septic system they were hired to service? Do you feel the fee was fair, and were they upfront about the additional fees? Did the Santa Clara County septic system pumping services show up on time? Did they clean up after finishing the work? 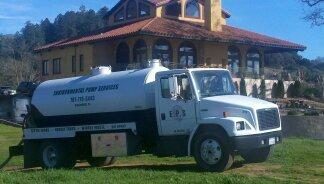 When you need septic pumping services in the future, will you hire this Santa Clara County septic contractor again? Would you recommend this company to friends or family? Is there anything you wish you would have known about this septic service company or the services your septic system needed before the work began? Is there anything I should know or consider before hiring this company? What was the best part about working with this Santa Clara County septic company? You’ve spent time assessing the septic services you need, and you’ve interviewed contractors over the phone and in person. You’ve compared bids and you’ve talked with former customers of the contractors that are highest on your list. You might think you’re ready to make a hiring decision. 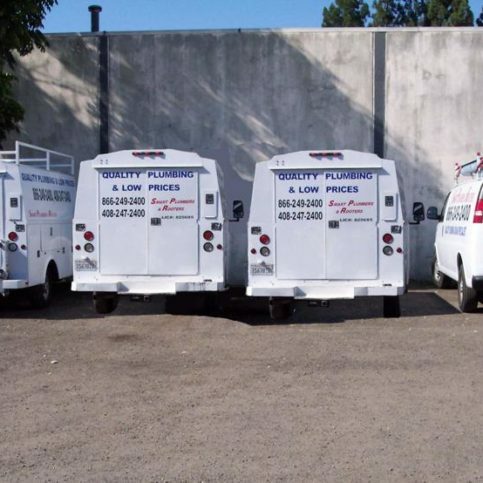 But before deciding on the best septic services provider in Santa Clara County for you, it’s important to review your notes and all of the information you’ve collected and consider the following questions. Can the Santa Clara County septic services providers you’ve interviewed meet your needs in terms of scheduling, services, budget and personal preferences? Are the septic services contractors you’ve interviewed knowledgeable about the scope and details of the septic services your home or business needs? Can they tell you which services will best meet your needs and protect the integrity of your septic system? Do the septic services contractors in Santa Clara County you’ve interviewed offer warranties in the event of a product or system failure or service error? Will they put their guarantees in writing? Were the septic contractors as eager as you are to get the service completed and keep your septic system in good working order for years to come? Did one septic service company stand out above the rest in terms of willingness and ability to provide the work and good customer service? Before interviewing and choosing a good septic service provider in Santa Clara County, you’ll want to decide the type of septic services you need and the scope of the work you want done. You should also know the budget range you’re looking to stay within. This will help you express yourself to the septic system service contractors you talk to, and will give each one the opportunity to bid on the same project. Having a specific plan will also help you define boundaries so that you don’t end up getting—and paying for—more work than you need. Since septic services can be hard to determine without having a look at the existing system and diagnosing any problems, it’s not uncommon for Santa Clara County septic services providers to suggest additional services. While most companies are honest and are looking out for their customers’ best interests, it is wise to pay attention to what various companies suggest. Getting three to five bids from licensed, insured, fairly-priced septic services that have good records of customer satisfaction in Sunnyvale, San Jose, Campbell, Gilroy, Morgan Hill and throughout Santa Clara County is a smart move, especially if you’ve asked for and received detailed or even line-item estimates. This way, you’ll be able to compare the services and prices of all potential companies. If one is priced far below the others, you’ll be able to see if their service suggestions and specific estimate provides the same amount and level of services as the others. Likewise, if one contractor suggests major services and the others only recommend basic septic pumping, cleaning and inspection, it will give you a chance to ask why that one company suggests a much larger project than the others. Sign a Contract with a Good Septic Services Company in Santa Clara County? Once you’ve found the Santa Clara County septic company that is best suited to the services you need, move forward by asking for and signing a detailed contract. Good contracts protect you and your septic services company, and should include the price, start and end dates, and any other points of service you’ve agreed upon with your local sewage and septic sucking service. You’ll also want to confirm any warranties or guarantees at this time and make sure they’re in writing and included in the contract. Read through the estimate and be sure you understand all terms and limitations before you sign it. Contracts are legally binding, so for your protection, never sign a blank or incomplete estimate. If you have questions about the services, terms, line items, price, guarantee or any other details listed in the estimate, now is the time to ask and get answers. Don’t want until after you’ve signed the contract to ask questions pertinent to your job. Most professional Santa Clara County septic system service companies in Gilroy, Cupertino, Campbell, Palo Alto, Milpitas and throughout the local area will perform all parts of the job. However, there are a few steps you can take to simplify the work and help the job go more smoothly. Being ready for your septic services can even possibly save you some money by speeding along the job and preventing extra work that results in additional fees. Know where your septic tank is located. If you know where your septic tank is, outline it or leave a locator for the septic company if you won’t be home during the septic pumping services. If you don’t know where the tank is, the company can usually find it using a probe or locating devices. There is sometimes a fee for this, or it may take extra time that can impact the final cost of the job. If you need help locating your septic tank, let your Santa Clara County septic tank service know ahead of time so that they can plan for locating time if needed. Make the septic tank cover accessible. If the tank cover is buried under grass, landscaping or dirt, you may want to dig it out for your septic service. Some companies charge an extra digging fee for having to uncover the septic tank cover, so you can save money by doing this ahead of time. If your tank cover isn’t accessible without digging, you can ask your septic services to install a riser on the clean out opening so the tank is easier to locate and pump each time you have it serviced. Supply clearance and parking space for work trucks. Septic services vehicles are often large and may need special parking consideration depending on the size of your driveway or available street parking. Ask your septic services contractor how many work vehicles will need parking space, and whether the vehicles will be oversized or need specific consideration for parking. It may be a good idea to walk through your property with your Santa Clara County septic service personnel and have them advise you of clearance issues, lawn ornaments or potential hazards that you can move or minimize before the septic pumping work begins. Think ahead. Schedule septic tank pumping before large gatherings such as weddings, family reunions, large parties or other events that can stress or overwhelm your septic tank. This is especially important if you’ve been experiencing trouble with your septic system, it’s due or overdue for pumping, or you are concerned about the potential for malfunction or overflows. You may also want to have your system pumped before the rainy season, if you live in Milpitas, Palo Alto, Cupertino, San Jose, Sunnyvale, Gilroy or other Bay Area locations that experience heavy winter rains that can overwhelm or burden full septic systems. Keep children and pets away from the septic pumping area. For their safety and the safety of your septic pumping crews, keep pets and children out of the area during the work. How Can You Be a Good Septic Services Customer? It’s the responsibility of your septic services to provide quality septic system pumping services, inspections, clean outs and other services. But no matter what septic services your system needs, and no matter how professional your septic service provider, you play a big part in the success of the work, too. Here are a few simple steps you can take to be a good customer when hiring Santa Clara County septic services in San Jose, Santa Clara, Mountain View, Milpitas, Palo Alto, Cupertino, Gilroy, Campbell and Morgan Hill and your area. Be clear and upfront with the septic services providers. Let them know what septic services your system needs, the outcome you’re expecting and specific ways they can meet your expectations. Remember, a friendly smile goes a long way in creating, building and maintaining a good working relationship with any contractor or service provider. Before you hire a septic services in Santa Clara County, restate your expectations and goals, and reiterate to the septic services representative your understanding of the agreement. Most problems with local septic services occur because of a breakdown in communication. By being clear about your expectations and theirs, you can avoid most conflicts. Ask your septic services if you should call to check on the progress or if he will call you with updates. Be sure your septic service representative has a phone number where they can reach you at all times. The work will move along more smoothly if your septic company can reach you with updates, questions or for any needed work authorizations. When your septic system contractor contacts you, return calls promptly to keep the services on schedule. Pay for the work promptly as agreed upon in your contract. Why would you want to be a good customer? Septic service providers in Santa Clara County appreciate customers who are straightforward, honest and easy to work with. Your good customer behavior sets the tone from your end and creates an environment conducive to a good relationship. Things may very well go smoother and any problems may be more easily resolved. The septic services contractor’s name, physical address and state license number. A complete list of all work performed. An itemized list of all materials used. The total cost for the septic services services, including the itemized amount charged for labor. A written explanation of any warranties or guarantees provided by the product manufacturers and the septic services company. Once the work is completed, your Santa Clara County septic contractor should give you a detailed invoice including the above items. Ask your septic service provider to talk through the work with you and tell you what the results of the service were. Ask any questions about the services, maintenance, future steps and other details. If anything is amiss or confusing to you, now is the time to get answers. Written warranties are important for any type of home improvement or commercial improvement or maintenance project, including septic services. These warranties are your promise that your septic service provider did a good job, provided the services as promised, and that he or she will stand behind the work provided by the company. Not all septic services in Santa Clara County, including those in San Jose, Sunnyvale, Santa Clara, Mountain View and Milpitas, provide warranty coverage on their services and materials they’ve used. However, the best companies do, and they’ll be glad to provide you proof of their guarantees in writing. The Santa Clara County septic services company’s name, physical address and state license number. A description of what exactly the warranty covers. This should include whether the contractor will repair or replace any faulty materials or workmanship. Any exclusions must be explicitly stated. Your responsibility in the case of a problem and what you need to do in order to redeem the warranty. How long the warranty is valid, and whether it expires on a specific day or is prorated (meaning, the warranty coverage and amount owed for repair or replacement diminishes over time). If the warranty coverage is transferable to the new owner if you sell the home or commercial building in which the septic services work was done. Any actions on your part that may invalidate the warranty. Good septic service companies in Santa Clara County are known for taking care of their customers and doing what it takes to get the job done right the first time. Here, you can learn more about the most commonly-requested septic services in Milpitas, Palo Alto, Cupertino, San Jose, Sunnyvale, Gilroy and other areas near you. This isn’t a complete list of septic services available, just those that are provided most often by professional septic tank services in the Greater Bay Area. Septic tanks and septic systems need pumping every three to five years (or more or less, depending on the specific system and use factors of each septic tank and system) to stay functional and avoid problems. Septic tank pumping and septic system pumping includes emptying of the waste that isn’t naturally decomposed by anaerobic digestion process within the tank. These solids and sludge must be removed so that the tank doesn’t fill up and discharge untreated wastewater into the septic system’s drainage field. Septic system pumping is the process of pumping out accumulated sludge by a specialty vacuum truck. The waste is then removed to a treatment plant for treatment. Like all home systems, septic systems also need regular maintenance to function properly and prevent the system from failing. 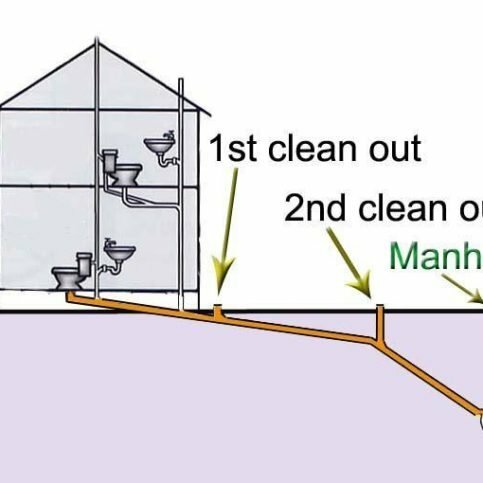 Septic system maintenance includes pumping, inspection, tree root removal, removal of biofilms and drain field maintenance, and may also include the changing of daily behaviors to keep the system functioning well, such as not disposing of cooking oils or chemicals down the drain, avoiding use of the garbage disposal, not flushing salted water, avoiding flushing of non-biodegradable waste items such as cigarettes and hygiene products, and being mindful of how much waste water is pushed into the system. Septic system inspection is the process of inspecting an existing septic system for potential issues, malfunction or other problems. Inspections should occur once a year or when problems surface. It is also recommended that home sellers and home buyers arrange for septic system inspection to prove the system they’re selling or buying is functioning correctly. Septic system services in Gilroy, Cupertino, Campbell, Palo Alto, Milpitas and other areas routinely provide septic system inspections. The leach field, also known as a septic drain field, is the drain and associated piping and filtration field that helps remove impurities and contaminants from septic tank liquids. A leach field inspection proves that the septic tank filtration field is functioning correctly and filtering wastes from the liquid coming from the septic tank. This ensures local waterways, wells, watersheds and aquifers are protected against contamination. Septic system filters may need regular maintenance and cleaning to keep them clear and functioning at peak performance. Septic filter cleaning may include degreasing, pressurized cleaning, flushing and scrubbing depending on the type of filter and amount of build up. Holding tanks are wastewater tanks that hold sewage. Unlike septic tanks, holding tanks do not leach into a field or mound where the water is broken down and eventually released as filtered water. Instead, holding tanks hold sewage that is stored until it is removed. Sewage from holding tanks must be pumped out by vacuum truck and removed to a municipal treatment plant for treatment. These tanks must be serviced much more often than septic tanks due to their nature. Commercial kitchens, restaurants, food establishments and other buildings with kitchens or facilities that may create extra grease content in waste water may have separate grease traps located in their septic systems. These septic grease traps must be cleaned to remove the grease, as it can cause traps and filters to clog and back up. Trees, shrubs and other plants that are planted to close to septic systems, septic tanks, leach fields and septic pipes can invade the systems with their roots, causing clogs, backups and other problems. Septic systems aren’t buried very deeply, so root clogging is common. 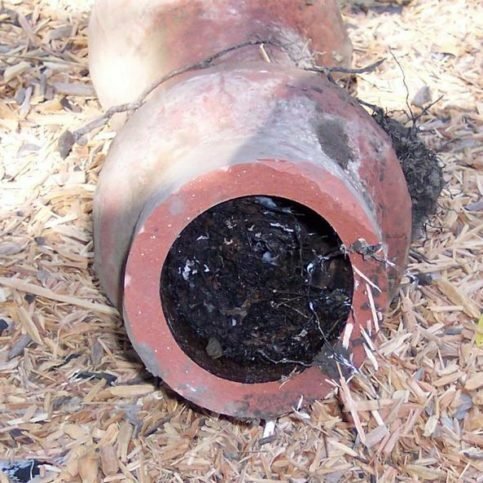 Root removal services remove roots from pipes and repair damaged areas. Most well-functioning septic systems don’t allow sewage odors to escape. However, sometimes commercial and residential septic system require odor control services. These can include investigation and diagnosis of the odor, repair of broken lines or equipment, installation of filtration devices, vents, filtering vent covers, and other specific services required. Septic system additives can include chemical, organic, inorganic, biological, yeast, bacteria and enzyme septic tank additives. While these additives have been long marketed to homeowners as necessary for reducing sludge build-up and odors, studies show that most additives are expensive and have very little to no effect on septic system effectiveness. Septic systems that are functioning and maintained correctly should have the right balance of biological additives, enzymes and organic material to function well without additional additives and enzymes. The following glossary terms and definitions can help you better understand your septic services provider and can help you communicate with them more effectively. The absorption area is the area where waste water from a septic system is emptied for filtration and release into the ground. Blackwater is waste carried off by toilets and urinals. This water is raw sewage and must be treated before it can be released into the environment. The volume of wastewater, both blackwater and greywater, that an onsite septic system can handle. Septic system capacity is usually described in terms of daily volume allowed. 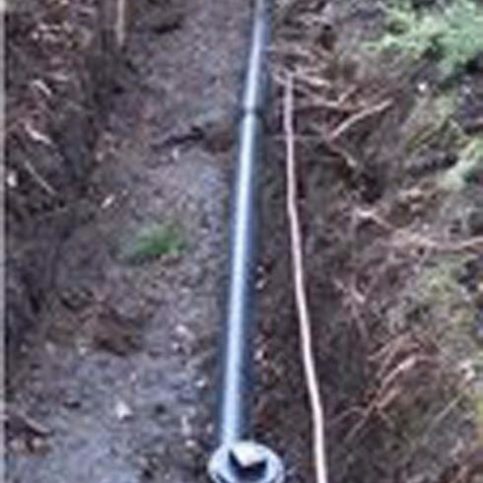 A drainfield (also known as a drain field, absorption area, drainage bed, seepage bed, or leach field) is the area where perforated piping is set in drainage trenches to distribute effulent and wastewater from septic systems. Effluent is the partially treated liquid that leaves a septic tank after filtration of solids in the tank and on the way to the absorption field or drainage field for continued treatment and release into the environment. Septic system failure is some kind of failure of a septic tank or septic system. Failure may be signified by sewage visible on the ground, baking up into the home or business, leaking, seeping, contaminating ground water or ground surface, and a failure to meet permit and code standards. Any water from a residential or commercial building excluding sewage (blackwater) and water from toilets. Gray water includes bathtub and shower water, tap water, washing machine water, and other rinse water. Kitchen sink water is not considered graywater because of the presence of food solids. Graywater systems reduce the load of water on septic systems by separating water from sinks and showers from blackwater from toilets. Septic sludge is settled solid waste that sinks to the bottom of a septic tank. Septic sludge is semi-solid organic waste and must be pumped from the septic tank from time to time to free up space for new waste. A set of components that receive, store treat, and disperse blackwater and sewage at residential and commercial properties. Septic systems usually consist of a septic tank to receive and hold solid waste, a treatment system to sanitize and dispose of septic effluent and wastewater (usually in the form of a leach field, drain field or septic mound), and the pipes that move wastewater from the building to the system and from the septic tank to the drain field or mound. Septic system inspection is the process of inspecting an existing septic system for potential issues, malfunction or other problems. Inspections should occur once a year or when problems surface. It is also recommended that home sellers and home buyers arrange for septic system inspection to prove the system they’re selling or buying is functioning correctly. Septic system services routinely provide septic system inspections. Q: Why choose Diamond Certified septic services? A: Diamond Certified helps you choose a septic services with confidence by offering a list of top-rated local companies who have passed the country’s most in-depth rating process. Only septic services rated Highest in Quality earn the prestigious Diamond Certified award. Most companies can’t pass the ratings. American Ratings Corporation also monitors every Diamond Certified company with ongoing research and ratings. And your purchase is backed by the Diamond Certified Performance Guarantee. So you’ll feel confident choosing a Diamond Certified septic services. Q: What services do septic companies provide? A: Septic services include camera inspections; jetting and steaming of clogged septic lines; pumping of flooded basements and well pits; sand trap, grease trap, and spill pumping; septic tank cleaning; septic tank inspection; septic tank installation; septic tank pumping and more. Q: Why do septic systems need pumping? A: Septic systems need pumping because non-biodegradable materials in the system must be removed to keep the septic system functioning correctly. Q: Why should I worry about septic system or septic tank maintenance? A: Yes. You’re smart to think about septic maintenance before you have problems. Maintenance for modern, well-functioning systems is usually as simple as regular pump outs (usually every three to five years), monitoring bacteria levels to ensure proper breakdown of organic wastes. It may also include having a professional inspect the tank, the leech field or secondary treatment system, and any lines and connections. Q: What are signs that my septic system needs servicing? A: Signs of a failing or clogged septic system include toilets flushing slowly, sinks and bathtubs draining slowly, gurgling or bubbling sounds in the plumbing pipes, water backing up in the plumbing or septic system, standing water or wet areas of the yard (you may see standing gray water or black water), sewage odors in or outside of the home, contamination of well water, and sinks and toilets backing up into the home. Q: I had my septic system pumped very recently. Why is it already full? A: Septic systems are built to work when they are full. This is the way septic systems work—they filter water and liquid from solids, and they work best when full. Q: How should I care for my septic system? Use water sparingly. Take care to not overload your septic system with too much water. Turn the tap off between uses, invest in water-conserving appliances and conserve where you can. Only run your washing machine and dishwasher when they have full loads. Use toilet paper that is rated as safe for septic systems. Never rinse kitchen grease or oil down the drain. Instead, wipe pans with paper towels and throw them in the trash or put used cooking oil in disposable containers and throw it away. 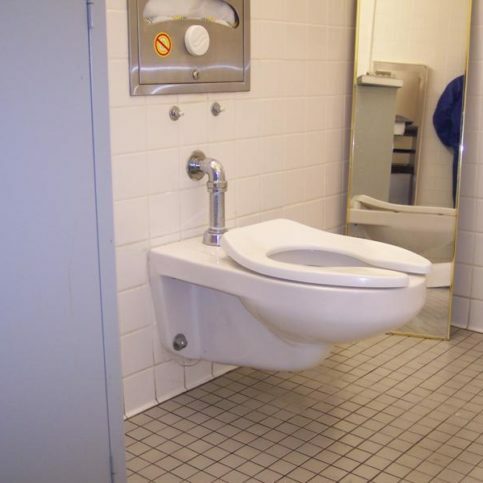 Never flush down the toilet cigarettes, feminine products, diapers, baby wipes, paper towels or inorganic materials. Never dispose of gasoline, anti-freeze, paint, paint thinner, oil, pesticides, or other toxic or inorganic liquids down your drains. Use your garbage disposal rarely and only for small bits of kitchen waste (what’s left in the sink strainer after doing dishes) . Never use your garbage disposal as a compost disposal or for egg shells, potato skins, large pieces of food waste or other items. Regularly check plumbing fixtures for leaks to limit wasted water. Limit your use of water softener if possible. Water softeners can increase your need for septic system maintenance services. Q: How often should I have my septic system pumped? A: Recommendations vary depending on the size of your system, number of people in your household, age of the system and other factors. Your septic service provider should be able to help you ascertain how often your system needs servicing. However, every three to five years is a good estimate for most average households with average use. Q: Do I need to add anything to my septic system to keep it functioning properly? A: Most septic systems are designed to function well on their own with no additives. However, septic systems and septic tanks that are overloaded, or have been flooded with organic material that isn’t breaking down fast enough due to volume. This can happen in systems that are too small for the size household they service, for homes that have extra guests for extended periods, or systems in buildings that frequently host large gatherings. In this case, you may benefit by adding enzyme or bacteria additives to your system. Talk with your local septic service about the additives they recommend for your system and unique situation. Q: Are septic services expensive? A: Septic services are probably more cost-effective than you’d expect. Most septic pumping services cost between $200 and $500, depending on the system’s size, age and other factors. Having your system pumped regularly is the best type of maintenance possible and will keep your system running well for as long as possible. Not pumping your septic system can cause it to fail, and replacing a septic system can be $15,000 or more. So you’re wise to have your system pumped regularly. The little you spend in maintenance will likely save you a lot in replacement costs. Q: What should I do if I’ve moved into a house with a septic tank? A: Learn what you can from the previous property owner or realtor. Where is the tank? When was it installed? When was it last pumped? What are the construction and maintenance details? Then, start by calling a good local septic service company and having them come and provide an inspection of the septic tank. They should be able to confirm for you tank location, size, age, condition, and maintenance suggestions.